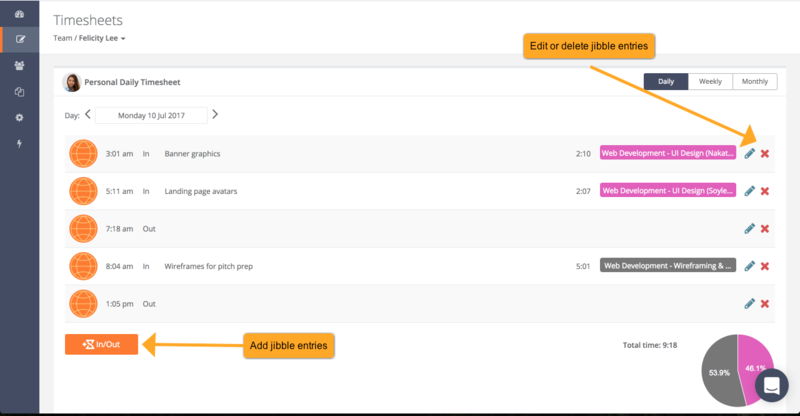 Both admin and team members can add or edit time manually if no policies are set up. Check out the video below to see how to do this, or follow the step-by-step instructions. 2. From the weekly timesheets (seen below) you can navigate to a specific week using the arrows. 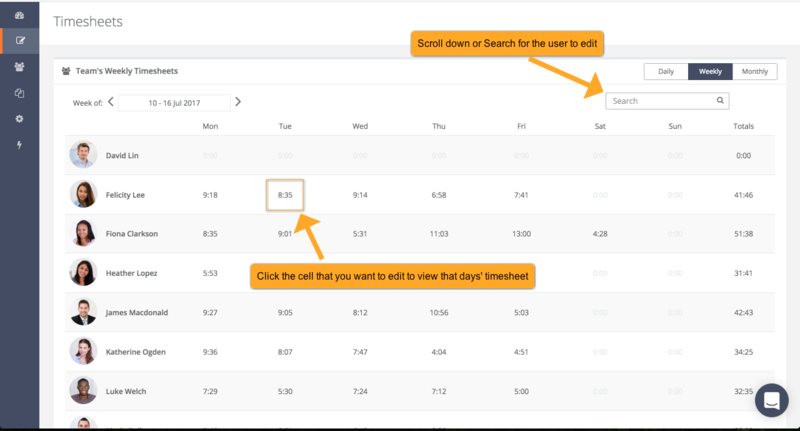 If you have many team members, you can use the search box to find the right one, click on the summarized hours view the timesheet for that day. 3. From the daily timesheet you can edit a time entry by clicking the pencil icon on the right. If you would like to permanently delete an entry, click on the red cross. 4. When you click the edit icon, a panel will show up on the right side of the screen. 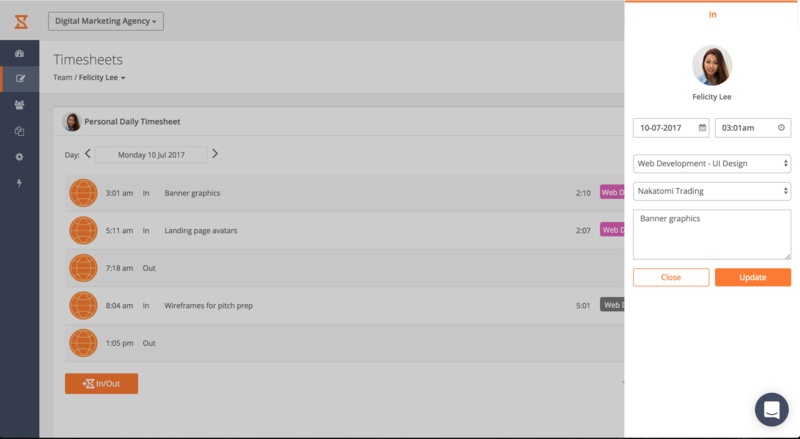 You can edit the date, time, activities/clients (if you have them) and adjust notes. Make sure you hit “Update” when you’re done. 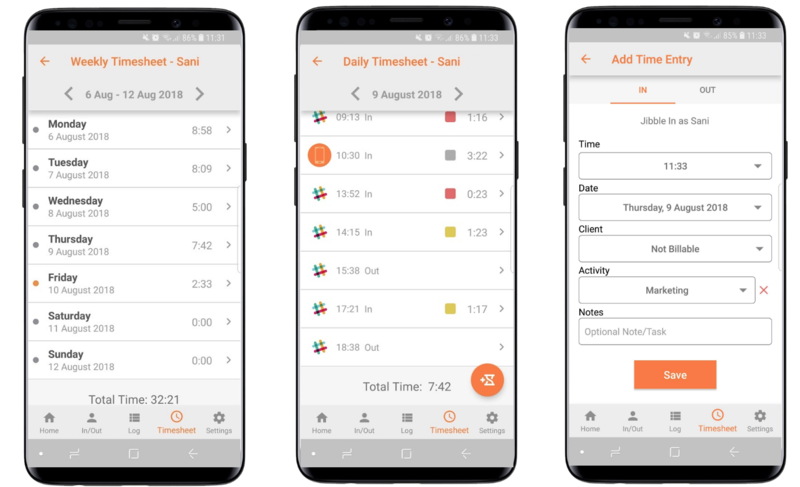 Team members can also adjust their timesheets if no policies are set up. The only difference is that they can’t adjust other people’s timesheets.